Silverlink Business Park is located approximately 5 miles from Newcastle City Centre with easy access from the A19 and A1058. It is a modern development and prime location for office space and growing businesses. GMR has been appointed to extend Innocore House offices and fulfill internal refurbishment works. The company is proud to have won the contract after pitching against other leading construction companies in the North East. It is understood the project was won on the companies reputation for good management and ability to meet tight deadlines. 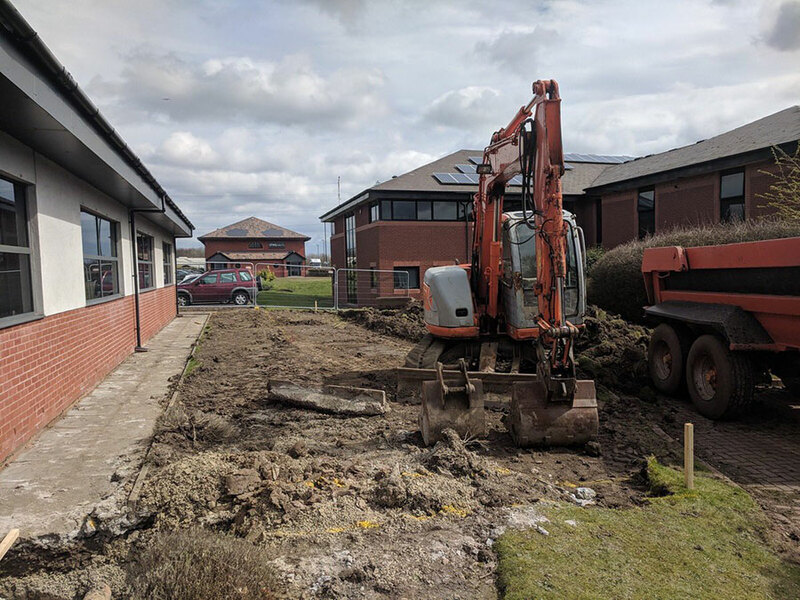 With any office development or refurbishment it is crucial to undertake works with minimal disruption to businesses and often within tight deadlines. Both of which GMR has an enviable reputation for. The project is planned for completion within just 18 weeks. GMR ensures every project is meticulously scoped out and costed. Part of this process also includes identifying the clients objectives and expectations. In this case the objective was to quickly expand the businesses working area to facilitate business growth. If you need a commercial building contractor that is respectful of your business and it’s objectives then please contact us now. GMR specialises in working with businesses construction projects of all types including; retail, pubs, workshops, factories, leisure facilities and office workspace.